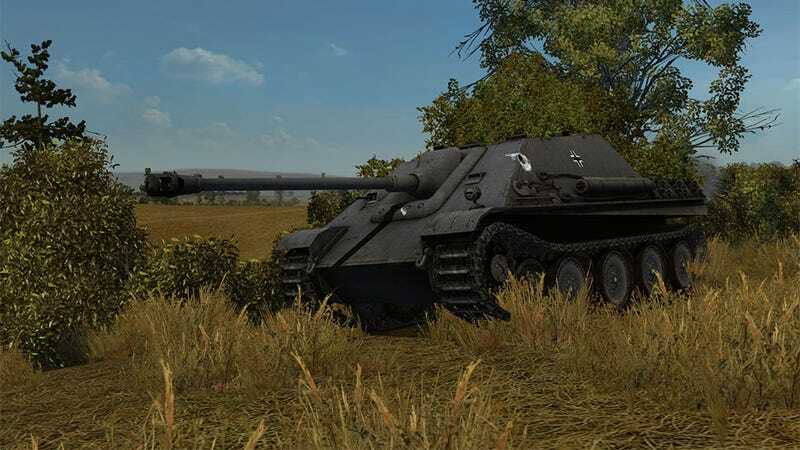 User accounts for World of Tanks, one of the biggest games in the world, have been comprised following what the game's publisher calls a "security incident". While stating "no financial information was accessed", operators Wargaming does say "some password hashes and email addresses may have been affected by the compromise", and as a result is urging users to change their passwords. They're doing more than just asking nicely, too. In order to really get people moving, users are being offered 300 units of World of Tanks' in-game currency just for resetting their password. You can read the full statement from Wargaming below. As a part of our usual security practices we recently became aware that some personal information may have been compromised due to a security incident. We immediately launched an investigation into the incident and can assure you thatno financial information was accessed. However, we believe that some password hashes and email addresses may have been affected by the compromise. The security of your account is very important to us at Wargaming. As a precaution, we are launching a global campaign to increase the security of your account. To start, sign into your account on the World of Tanks portal to access the security tools.Please reset your Wargaming ID account password using the Account Management page. If you have been using your old Wargaming ID password on other sites, we strongly recommend that you change those passwords too. We appreciate your immediate attention in resetting your password and apologize for the inconvenience.